In this fascinating case, Dr. Jarrell walks us through the initial presentation, evaluation, and management of a traumatic lens dislocation, right before your eyes. Read about this atypical but can't-miss pathology, culminating from a tale of alcohol use, head trauma, and ophthalmology. This week was filled with lots of high yield quick hit Grand Rounds sessions. 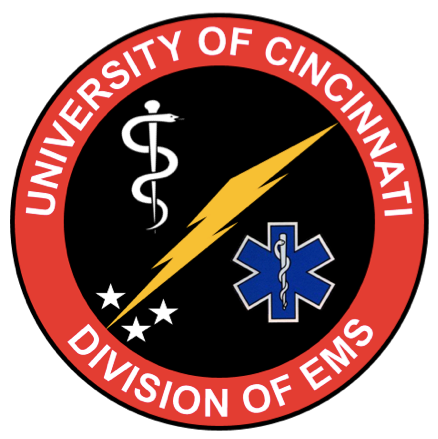 Dr. Stolz kicked it off with her first official lecture as UC EM's Ultrasound Director with a talk on how to use ultrasound in resuscitation of the shock patient. Next Dr. Knight went over some procedural complications and then switched gears to pearls on how to give a stellar lecture. Dr. Lagasse walked us through a case of ascending cholangitis followed by Drs. Colmer, Soria and Continenza who led small groups focused on care of the geriatric patient. Dr. Toth followed with management of eye complaints in the community and Dr. Shaw wrapped things up with an update on the opioid epidemic in Ohio.